It is nearly the summer solstice and a lot of people are making the most of the long summer days and enjoying outdoor living! 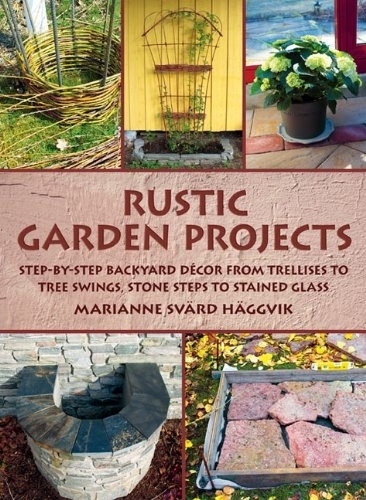 These books show gorgeous gardens and outdoor living spaces, and also provide inspiration for rustic garden craft projects. 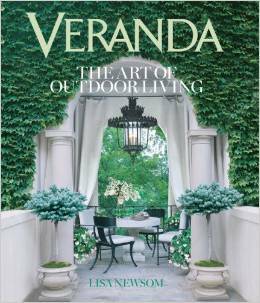 The writer of this lush coffee table book is Lisa Newsom who founded Veranda magazine in 1977. So she knows what she is talking about and how to find the best outdoor living inspirations! The lavish full-page photos are a joy for anyone who loves outdoor spaces as an extension of the home. Photos include courtyards, pools, the gardens of a French chateau, and the gardens of well-known designers and gardeners. The journey takes you across the world, and what a dreamy journey it is! 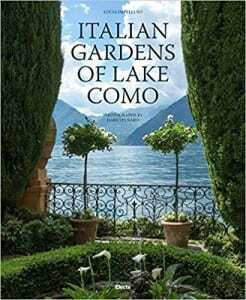 Garden design expert Jack Staub leads readers on a tour of 20 spectacular private country gardens in this handsome book. 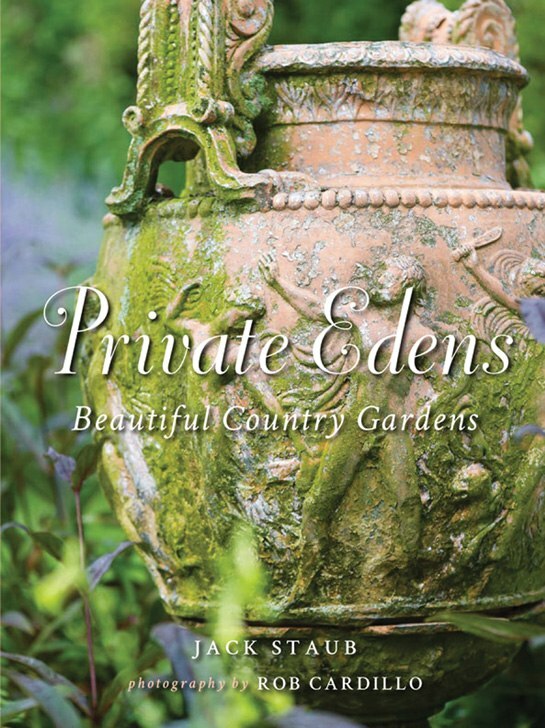 The ‘Private Edens’ are mainly in the northeast, and the gardens are not open to the general public. In fact, they are so private that the owners’ names and exact locations are left anonymous. Still, you can have a peek at these beautifully designed sanctuaries, including the author’s own Pennsylvania farm boasting a pondside pavilion and a romantic cherry-tree walk. One highlight is an exotic Asian–inspired garden in Maryland – apparently created by a princess from a Himalayan kingdom and her American husband! If you feel like being creative in the garden yourself (and perhaps you aren’t quite as rich as a Himalayan princess!) this new book will give some ideas to enhance your outdoor living. The subtitle is: ‘Step-by-Step Backyard Décor from Trellises to Tree Swings, Stone Steps to Stained Glass.’ That pretty much says it all. The do-it-yourself garden projects range from a simple suet ball bird feeder to a more ambitious but wonderful moon gate of braided willow. Some of the easier ones might be fun to do with the kids or grandchildren too. How about a personalized walkway? Do you have any photos of your outdoor living space to share with us? Or perhaps a garden project to tell us about? We are all ears! Tell us in the comment box below. 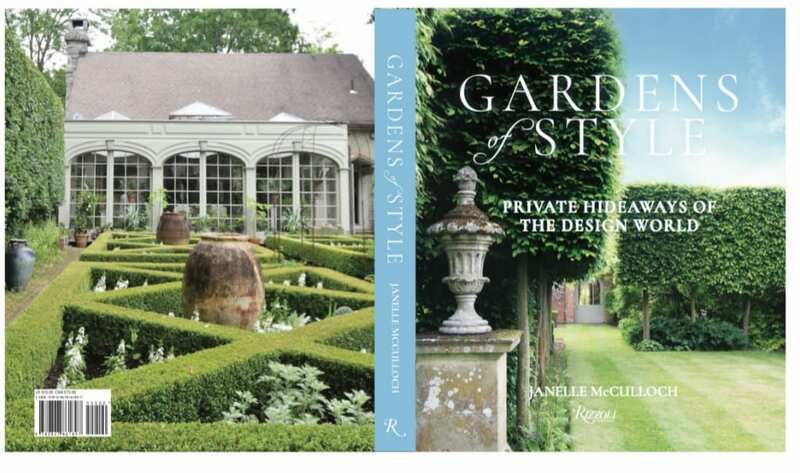 This entry was posted in Bookshelf and tagged cottage garden, design books, outdoor living space, period garden, shabby garden, vintage crafts on June 17, 2014 by admin. 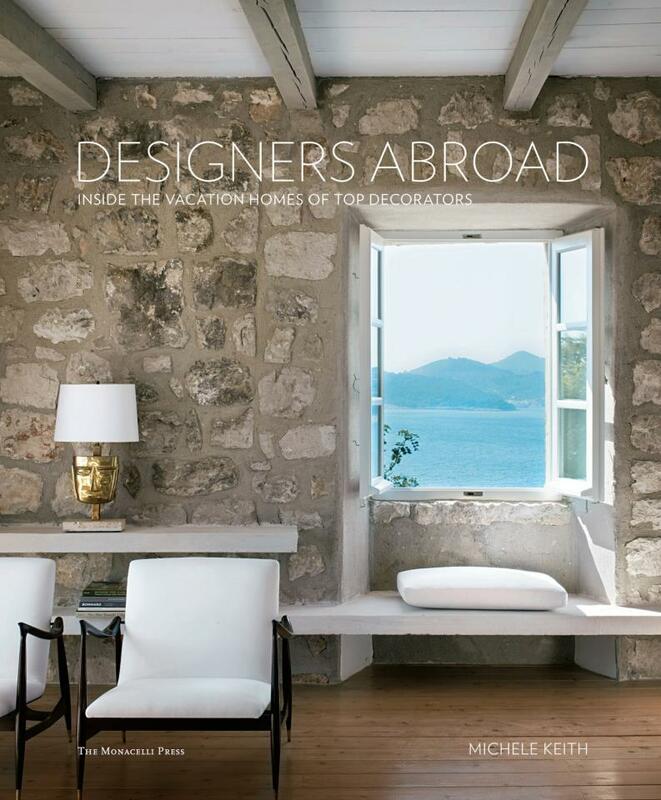 This colorful book takes a peek inside 22 vacation homes owned by leading designers. There are more than 200 photos, from tropical escapes in Mexico, South Africa, and Thailand, to designer Stephen Shubel’s sanctuary in the Loire Valley. It is interesting to see how the decor in the vacation homes is inspired by different countries and cultures. Timothy Corrigan’s apartment in Paris is gorgeous. His dining room is to sigh for, with its decorative wood panel walls, marble fireplace, antique French furniture, and a splendid chandelier. The designers also tell how they achieved the looks in their vacation homes, so there is plenty of inspiration to be found! 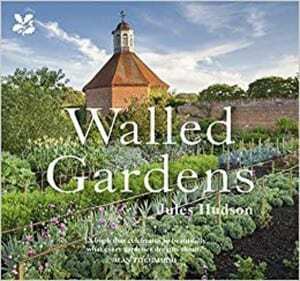 If you want to create a period garden or just add in some period elements, this book shows the way! 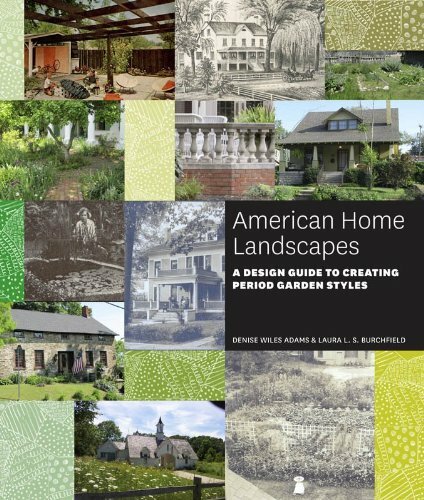 It looks at 400 years of American landscape design with more than 300 illustrations to provide inspiration. 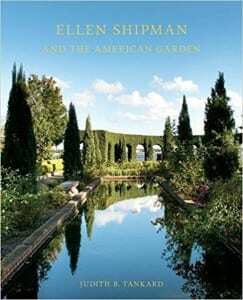 The authors are the horticultural historian Denise Wiles Adams and landscape designer Laura Burchfield. They clearly know their stuff. 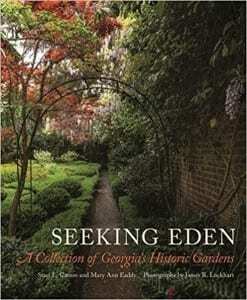 They divide garden history into six eras, from 17th-century colonial style up to the end of the 20th century. Dig in to the book to find out about the plants and features such as pathways and fencing used in different periods of history. Then get digging! The stylish heiress Marjorie Merriweather Post founded General Foods. The businesswoman was also famous for her parties, her philanthropy, and her homes! This illustrated book describes life at three of her homes from the 1950s to the 1970s. You can’t exactly call them vacation homes because she just shifted between them by season. She spent summer at Camp Topridge in the Adirondacks and winter at her villa in Palm Beach. In spring and autumn, you’d find her at her Hillwood Estate in Washington, DC. 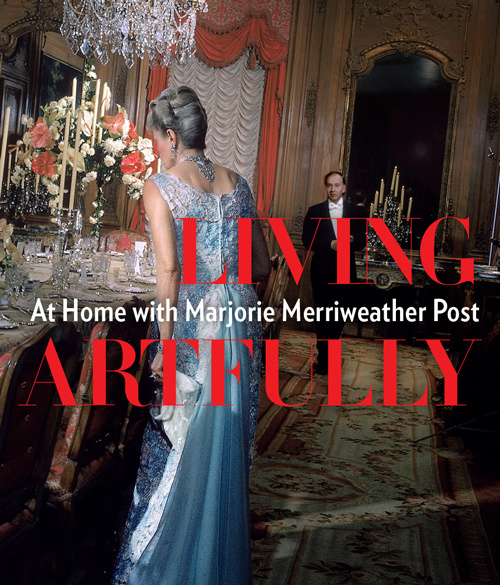 Marjorie Merriweather Post was a big collector and a fan of 18th century French decorative arts. So we’ve got a love of French antiques in common, although unfortunately I don’t share her enormous wealth! Visitors can see her collections at the Hillwood Mansion and Gardens. But if you can’t make it to the house, check out the book. The author, Estella M. Chung, is a curator at the estate. 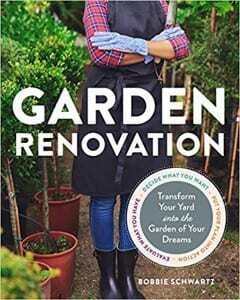 This entry was posted in Bookshelf and tagged books, interior decor, interior design, interior design books, landscaping, period garden, vacation home on August 12, 2013 by admin.